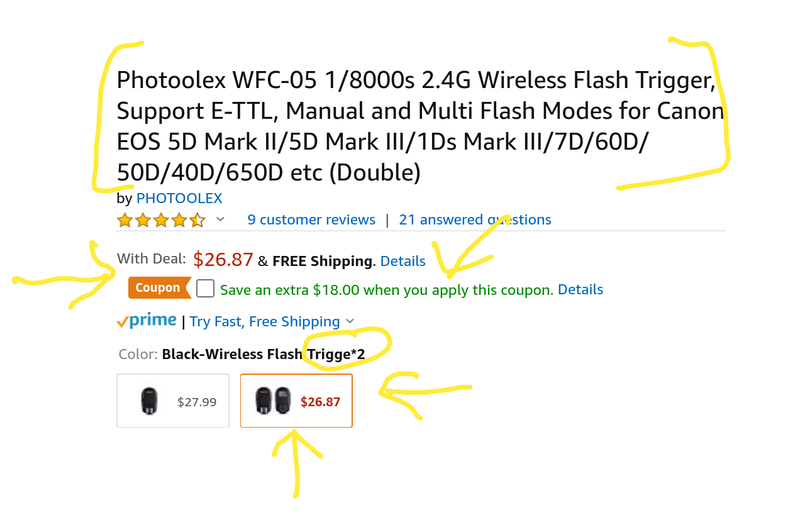 As of the time of writing, according to the shopping cart, there are 18 units of these available… There is a $18 off clip-on coupon on the listing of this Photoolex WFC-05 1/8000s 2.4G Wireless Flash Trigger set for Canon cameras. The price of the item is $27~, so after you clip the clip-on coupon [you must be logged on to your Amazon account so it will add the coupon to your account for current or future use while the coupon is alive], the price drops to around $9. Not bad!